Hello, all! I'm on the LDRS Inspiration Page today with a winter themed card. I don't know about you but this time of year I'm not really sure what type of card to make! 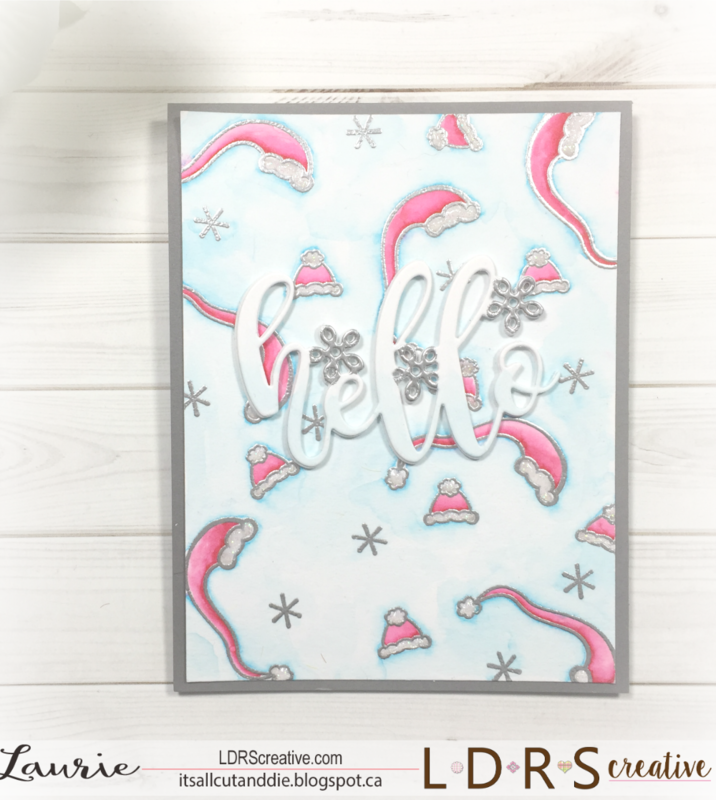 I settled on a Wintery Hello card that could be sent for almost any occasion! Please check out the LDRS blog post for all the details and links to products used! Hello everyone!! 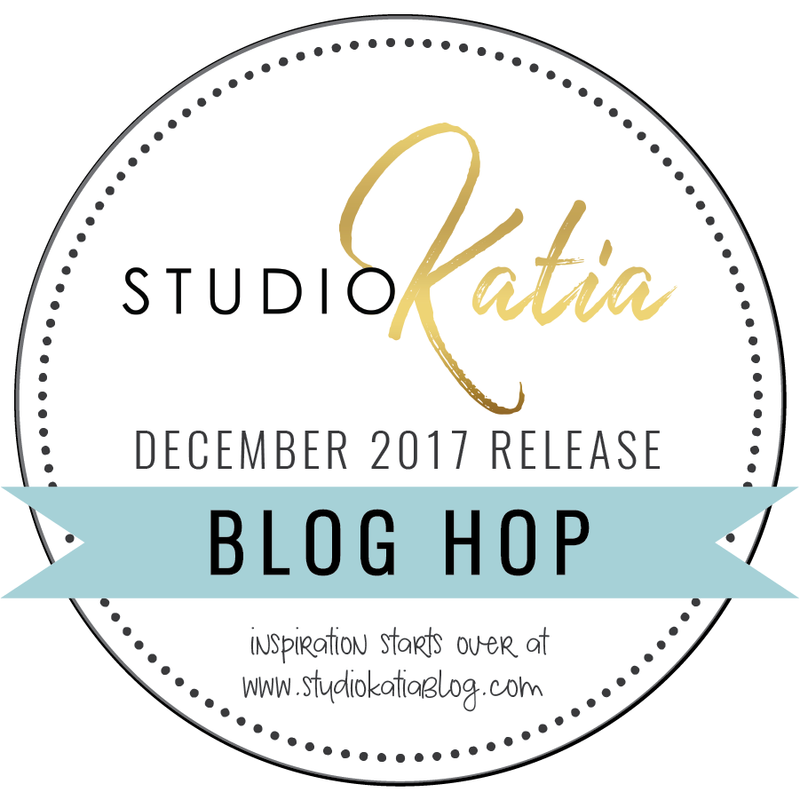 Today's the day I give away the $20 gift certificate to Studio Katia!! But before I do, I just wanted to say a HUGE THANK YOU to all those that left comments. You are all so sweet and I loved reading each and every one of them!! ANNALISA YOUNG, you've won!!! Congratulations!! Please contact me through email or by leaving a comment on this post. Because it's such a busy time of year, I'll hold the GC for you until December 27th. Thank you lovely ladies for all your support and encouragement!! Hello, friends!! I'm super excited to be a part of the December 2017 Release from Studio Katia!! We are celebrating with a Blog Hop full of inspiration using these latest products! Keep reading for all the giveaway details!! This release is absolutely amazing! From florals to coffee to of course, Kobi!!! Everything was created to work together in this release, which I love! I created two projects for you today to show you how well everything can work together. Ever since Kobi the Bear made his debut, I was smitten with him. 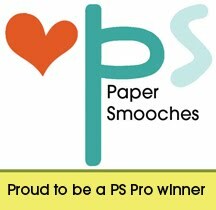 So let's introduce ourselves to the new Kobi's Hugs & Kisses and the Best Ever Stamps and Co-ordinating Dies!! Isn't he adorable!? There are so many images in this set that Kobi can hold on to, as the dies provide the cutting lines to tuck things under his arms. I used the "best" and "ever" dies as well as the "mom" sentiment from the Best Ever sets to create my sentiment. To finish off, I used the brand new Cupid's Kiss Crystals Mix for a light sprinkling of colour and sparkle. I wanted to show you one more card just to demonstrate how well these new stamps and dies work together!! Here, Kobi is holding an iced beverage! 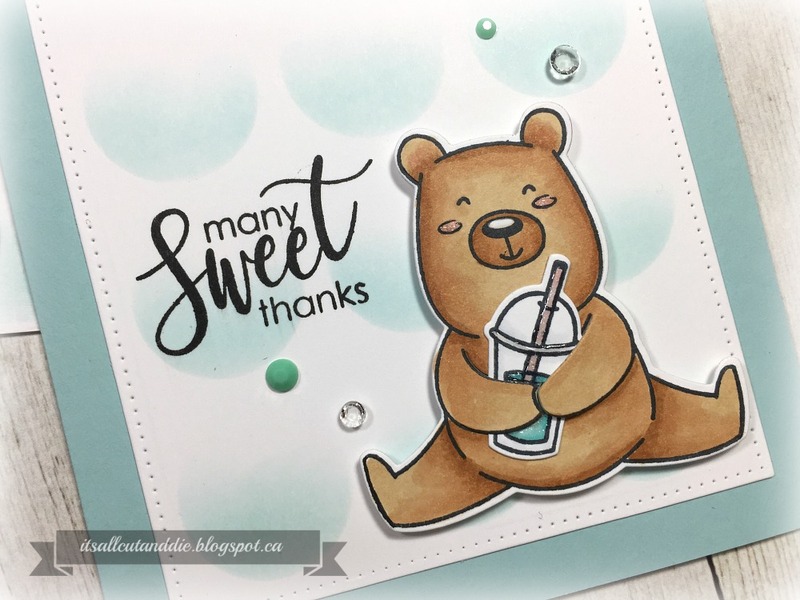 That sweet little image as well as the sentiment is from the new Sweet Latte Stamp Set which also has Co-Ordinating Dies!! 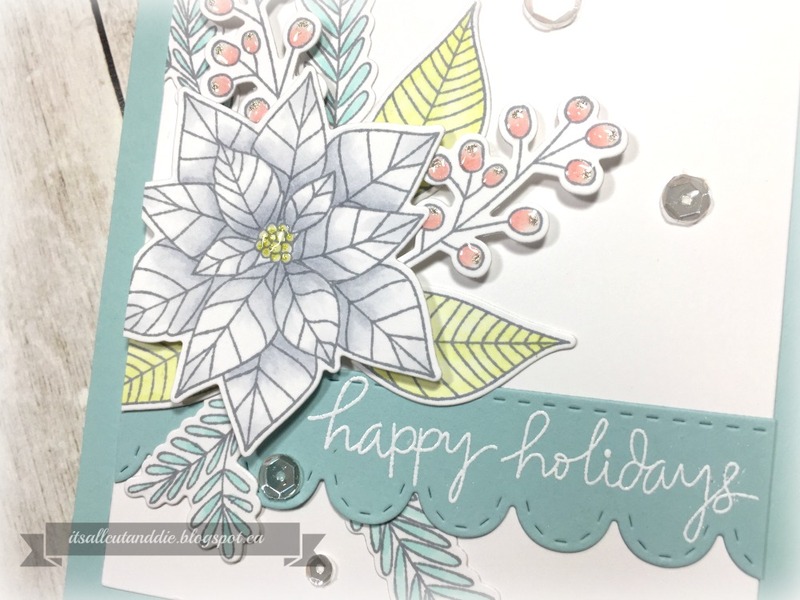 For the background, I used the new and super cool Dotted Loops Die. I used the negative portion (because I had that left over from another project) as a stencil. I simply laid it over a panel cut using the Dotted Patterns Set 1 die set and lightly sponged some blue ink to create some ombre circles. The embellishments on this card are also new!! The Mint Dream Crystals are beautiful! 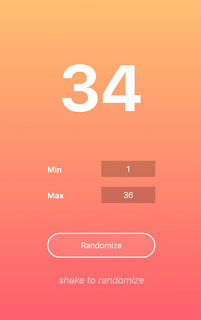 Now, on to the giveaways!! 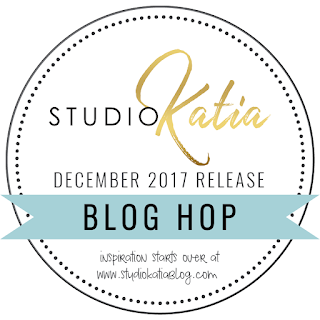 Make sure you leave a comment on the Studio Katia Blog for your chance to win a $50 gift certificate, there will be 2 to give away!! You can also increase your chances of winning by following Studio Katia on Instagram and "liking" them on Facebook!! I'm also having a giveaway for a $20 gift certificate for comments made of THIS POST!! Just leave me some love by December 22nd and I'll announce the winner HERE on December 23rd!! You should have arrived from the lovely Tracy!! Next stop on the hop is the super talented Olesya!! If you get lost along the way, just return to the Studio Katia Blog! All Dressed Up at the North Pole!! Hi, Friends!! 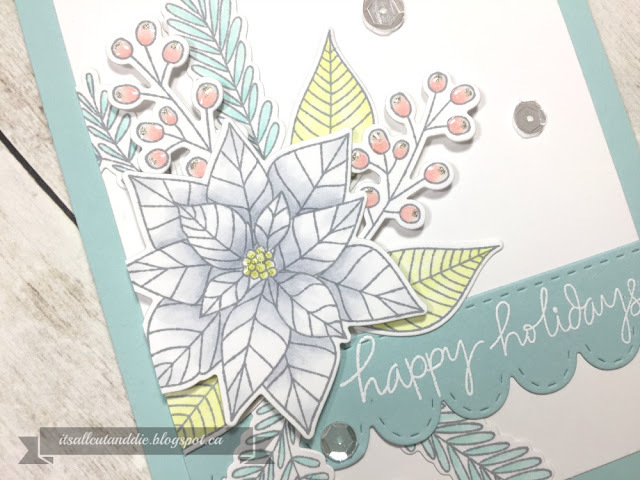 Just wanted to quickly let you know that I'm up on the LDRS Inspiration Page today with this card!! This was made using a combination of winter and non winter products and it was a total blast to make!! Hope you can drop by and say hello!! Hi Friends!! 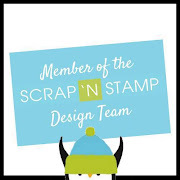 I wanted to do this post tonight to give huge praise to one of my favourite stamp companies. 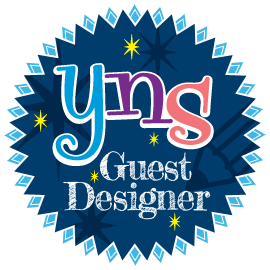 And that's Lil'Inker Designs. If you follow me on Instagram, you'll know that I'm a huge fan of Laura the owner and her products. Recently, I posted this card and mentioned that I did not own one Christmas stamp set from Lil'Inker!! I was shocked by this because I am a super fan :). Laura was so sweet and offered me a Christmas set from her shop!! I was beyond excited and super grateful. This is why I love shopping from small, home-based businesses like this. You cannot beat the customer service and the appreciation of these owners have for their customers is second to none! So without further ado, the stamp set I chose was the Festive Florals. I should also mention that she sent me the co-ordinating dies!!!! I tried, I really did, to make a softly coloured card. I wanted to make the poinsettias white, which I have a hard time with! 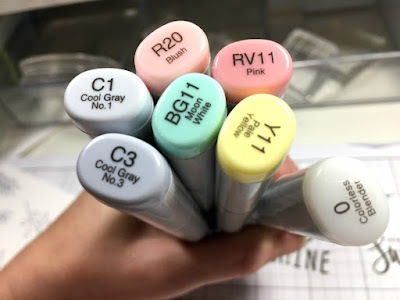 I kept it very pastel. I think if I had the C2 it would have turned out a bit softer. After everything was coloured, I used the dies to cut everything out. This is the arrangement I came up with after about 1/2 hour of fiddling!! 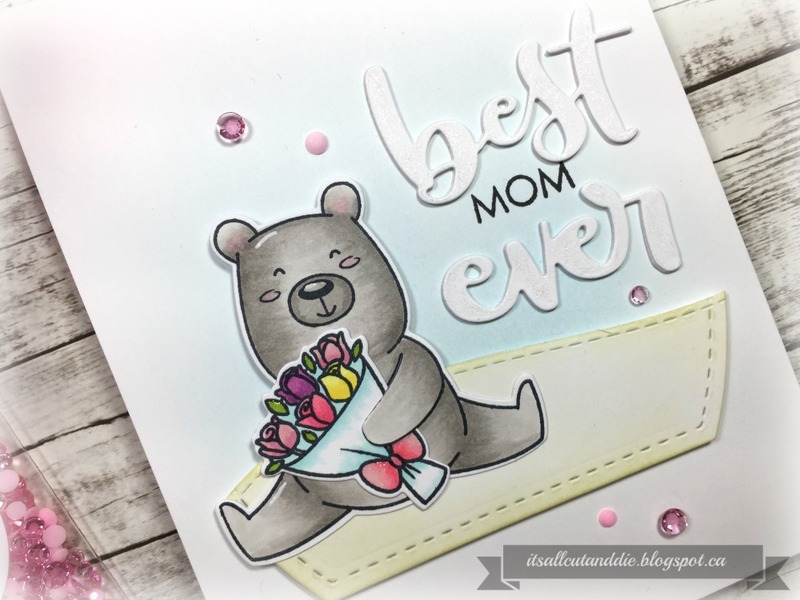 For the cardbase I used Soft Sky cardstock from Stampin Up which is the perfect match for the B11 marker. 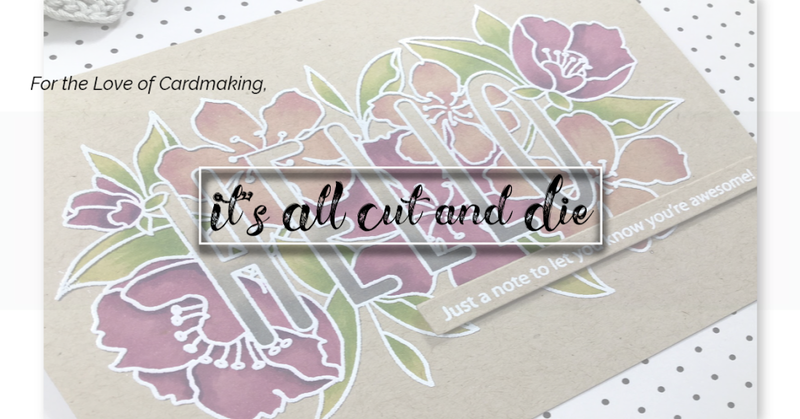 I stamped and embossed the sentiment, which is also from the Festive Florals set, onto a banner cut using the Stitched Scallop Border Die. Everything was adhered with a combination of tape runner and foam adhesive. And of course, some glitter pen, Glossy Accents and clear sequins finish it off! Thank you so much for stopping by, I hope you enjoyed this card! And thank you to Laura from Lil'Inker who is absolutely amazing!! 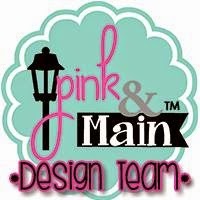 Please check out her shop if you aren't familiar with her products! !